The crew spends a lot of time during episodes 23 and 24 having breakfast. One of the many things they ate were nerf sausages. We were unable to find any nerf at our local grocery store, so we had to make due with beef. And then we also added some maple and bacon and jalapeno because why not? 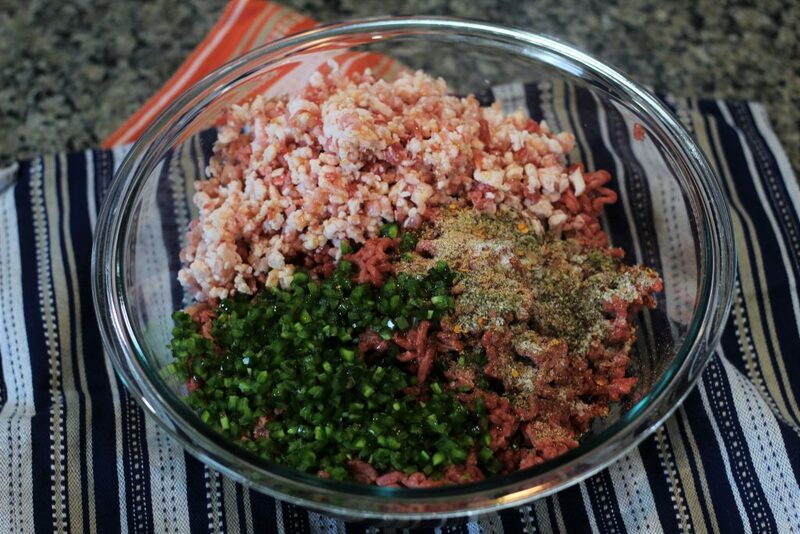 Ground beef chuck and minced bacon make up the bulk of the sausage. You can use whatever type of bacon you’d like, we used an applewood smoked bacon. For seasonings use we salt and pepper, some red pepper flakes, sage, fennel, and nutmeg. Then diced fresh jalapeno for some heat and maple syrup for a bit of sweetness and to mellow out the spice. A little bit of ice water helps everything combine. In a large bowl you’ll combine all the ingredients and stir well. Everything must be thoroughly combined. 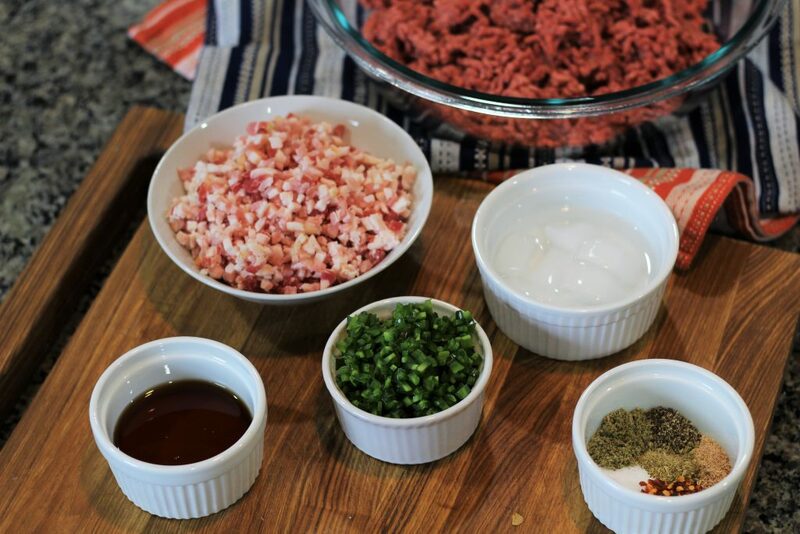 To form the patties you’ll take 1/4 cup (for small patties) or 1/2 cup (for large patties) of the mixture and form into a disk shape. 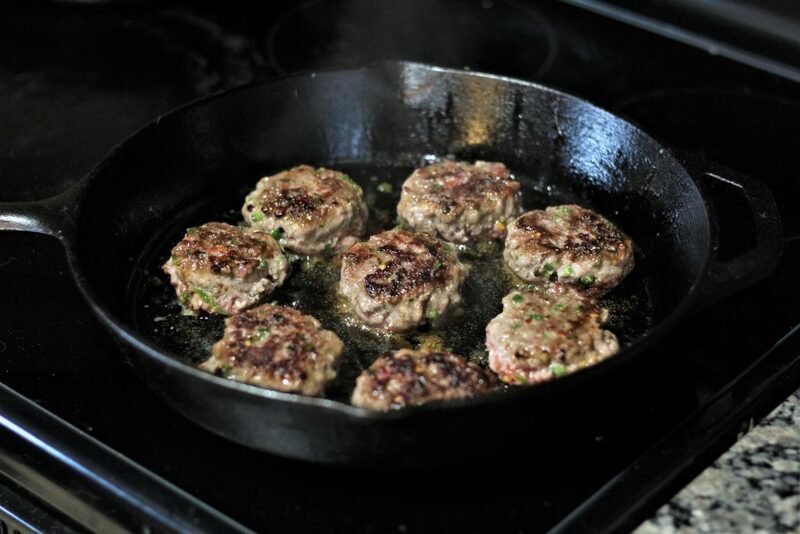 Heat a heavy skillet or cast iron over medium-low heat. 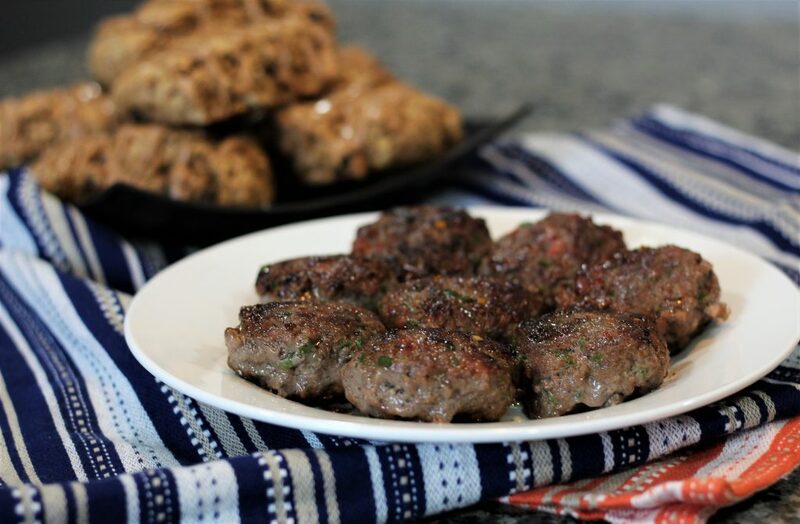 Cook the patties for about 5 to 8 minutes on each side. They should be deep brown on the outside and cooked all the way through. Look at those babies… or nerfies? Mapley bacony spicy sausage goodness. These freeze incredibly well. 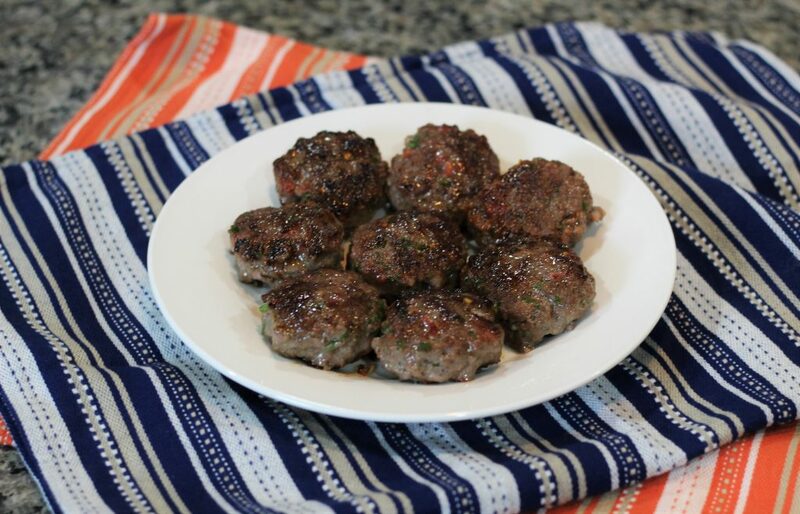 Once you’ve formed the patties place them on wax or parchment paper on a tray and place in the freezer for an hour. Transfer them to a freezer bag. Let them thaw before cooking. Combine all ingredients in a large bowl or the bowl of a stand mixer. Mix thoroughly until completely combined. 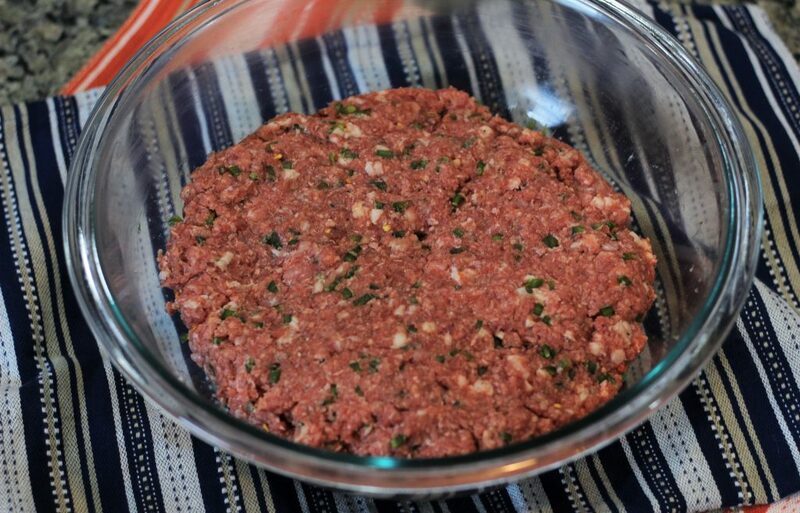 Form into patties using 1/4 cup of the mixture per sausage for small patties, or 1/2 cup for large. 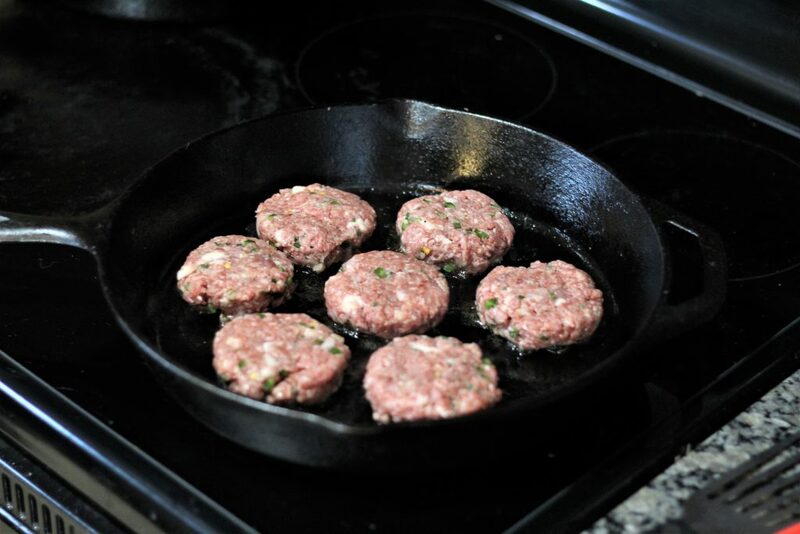 Cook patties over medium-low heat in a cast iron or heavy skillet. Cook until brown and cooked through, approximately 5-8 minutes on each side.